Great news! Nationally known speaker and Wild Ones Honorary Director Doug Tallamy will be a keynote speaker for the Wisconsin Lakes Partnership Convention and Water Action Volunteers Symposium to be held April 10-12, 2019 at the Holiday Inn Convention Center in Stevens Point. Doug will speak on April 12th at 9AM. 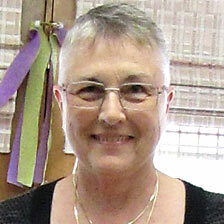 Additionally, Mariette Nowak, Author of Birdscaping in the Midwest, Past Director of Wehr Nature Center, Milwaukee County and President of Wild Ones Kettle Moraine Chapter will be speaking later in the afternoon from 2:45-3:45PM. With a conference theme of “Pay it Forward,” Dr Tallamy’s presentation argues we all can “pay it forward” to nature by including many more native plants in our domesticated landscapes. He will take a closer look at how nature can (and does!) provide for itself through the complex web of life which is most often based on the relationship between plants and insects. Whether at an “up north” cabin or in the middle of Milwaukee, our deeds will be multiplied and eventually will return to us in the form of a more diverse and resilient natural community. Doug Tallamy is a professor in the Department of Entomology and Wildlife Ecology at the University of Delaware, where he has taught for nearly forty years. His research demonstrates the enduring connections between plants and the insects that feed on them. Though we may think of these insects as pests, they are in fact critical food sources for native birds and small mammals. 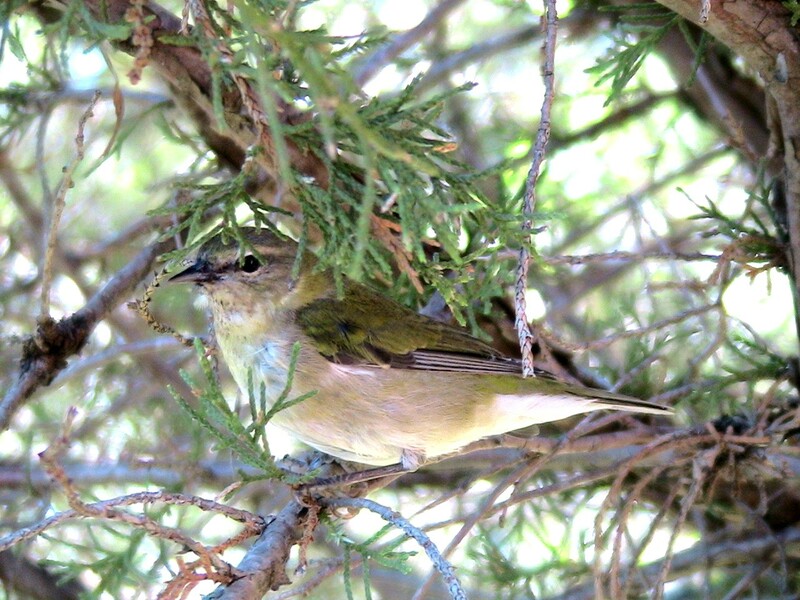 Mariette will present ways to increase the variety of birds on your shoreline property by growing native plants which offer birds a natural habitat and a yearlong smorgasbord of berries, nuts, seeds and insects. By doing so, she’ll show you how you can play a vital role in preserving and enhancing native communities that support not only birds, but also other wildlife including butterflies, bees, and bats. By taking on this role, you become a steward of your piece of Earth and pay forward its diversity and beauty to future generations. To register See you there! Sponsored by the UW-SP College of Natural Resources, UW-Extension Lakes Department, the Wisconsin Lakes Partnership is made up of three partners: the Department of Natural Resources (which supplies scientific research, technical expertise and regulatory authority), the UW-Extension Lakes Program (which provides supporting educational materials and programs), and Wisconsin Lakes (which mobilizes citizens to be advocates for lakes). Even though we all may not have read the latest United Nations Intergovernmental Panel on Climate Change (IPCC) Report on climate change, we have all heard the dismal findings. Humans must act now to decrease global warming or we’ll continue to suffer through more extreme weather events — hurricanes, floods, droughts, wildfires, below freezing temperatures and above normal heat waves. Advocates for change tend to focus on reducing fossil fuel consumption through the use of natural energy resources such as solar and wind. But doing so is a slow process and one not so easily achieved through change. Technology advances and policy changes will need to be implemented in order to affect a change, but every day on the news, we see how even the discussions result in more fighting and partisanship than mutual advancement. 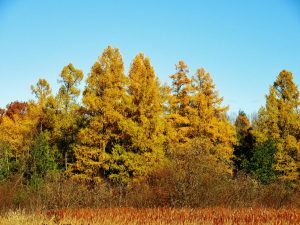 Natural resources such as trees and marshes help mitigate the impact of increasing carbon dioxide and unmitigated flooding. There are other natural resources, however, which may be used to affect change in a less partisan manner. They are the natural resources of native plants and natural landscapes. Thanks to their carbon sequestering and storage capabilities, forests and prairies/grasslands should be absolutely essential in mitigating climate change. And thanks to their sponge-like processes, wetlands should be absolutely essential for mitigating flooding. Natural climate solutions can help us achieve 37 percent of our climate target. According to the EPA, the Average US resident emits about 20 tons of CO2 a year. Research tells us carbon absorption by American forests is more than 227.6 million tons per year, and the grasslands of the American West absorb about 190 million tons of carbon dioxide a year. Forests store CO2 mostly in woody biomass and leaves, and grasslands sequester CO2 underground mostly in their roots and in the soil. This means when wildfires cause trees to go up in flames, the burned carbon they formerly stored is released back to the atmosphere. When fire burns grasslands, thankfully, the carbon stored underground tends to stay in the roots and soil. With our climate becoming increasingly unstable, this means grasslands will tend to be more adaptive to global warming. Wetlands need to be included also in this discussion because of their ability to protect against flooding. Acting like a large sponge, they store snow melt and rainwater and slowly release it over time, removing the energy and pollution from the initial downfall. As we add more and more impervious surfaces and fill in more and more marshes, there is no where for the water to go so flooding occurs. By allowing our wetlands to flourish, we should reduce the impacts of drought and the impact of large surges of water. As I end this post, I am so very grateful I am able to do my small part to affect climate change in a positive way. I know it’s not enough, but if we all do our part “to promote environmentally sound landscaping practices to preserve biodiversity through the preservation, restoration and establishment of native plant communities” we’ll get there. Summary for Policymakers of IPCC Special Report on Global Warming of 1.5 degrees Celsius. 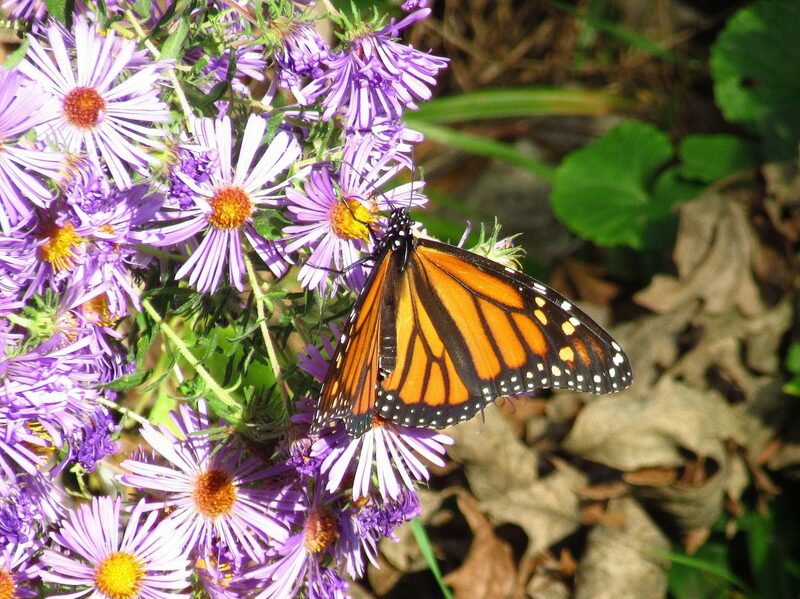 Monarchs and other pollinators depend upon late season forbs such as the New England Aster to help them prepare for the winter season. Learn what you can do with landscaping to have a positive effect on our ecosystems and our general health at the 23rd Annual Toward Harmony with Nature Conference on January 19, 2019. Download conference brochure. Wild Ones Fox Valley Area Chapter is celebrating its 23rd Toward Harmony with Nature all-day conference on natural landscapes, native plants, biodiversity and wildlife this January 19, 2019. The Value of Ecological Restoration will focus on ecological awareness, and provide insight in helping us actively participate in restoring the health of our lands and how it benefits ourselves and others. What our speakers have to say should be of interest to anyone (homeowners, gardeners, landscapers, teachers, ecologists, municipal leaders, wildlife enthusiasts, nursery owners, etc). 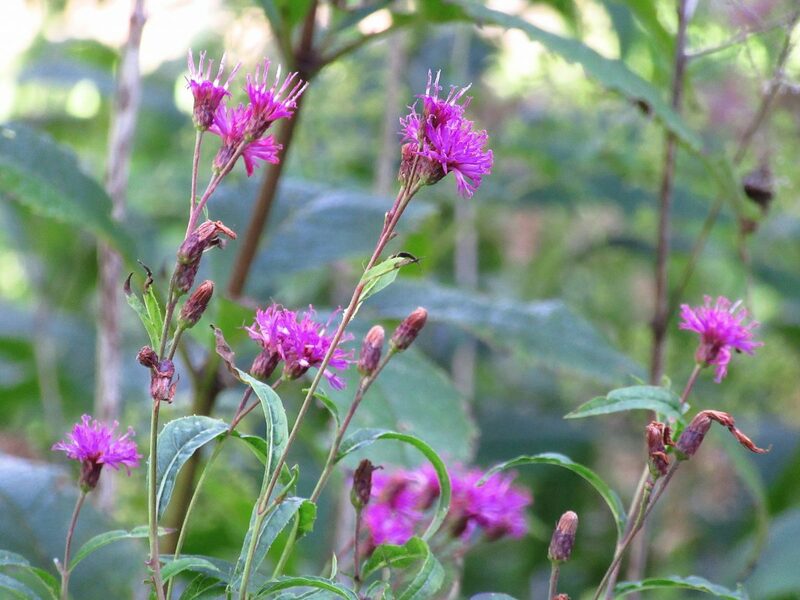 Tall Ironweed (Vernonia altissima). Photo by Donna VanBuecken.